While more and more companies are contemplating moves away from the United States for cheaper production costs, Ford has made a concerted effort to stay as true to American ideals as possible. In fact, for the first time since the 1930s, the Ford Motor Co. now employs more American factory workers than its biggest rival, General Motors. That’s an especially amazing feat, considering the fact that GM consistently sells more vehicles and should be able to house a bigger American workforce. On Friday, Ford continued with this American pledge, announcing that the production of two engines at their Cleveland Engine Plant had officially kicked off. According to the company, the plant is now working on producing a twin-scroll 2-liter engine and a 2.3-liter Ecoboost, both of which used to be built in Valencia, Spain. The twin-scroll 2-liter EcoBoost engine being produced there is currently available in the redesigned 2015 Ford Edge, and the 2.3-liter EcoBoost engine is available on the 2015 Ford Mustang, Ford Explorer, and Lincoln MKC vehicle. 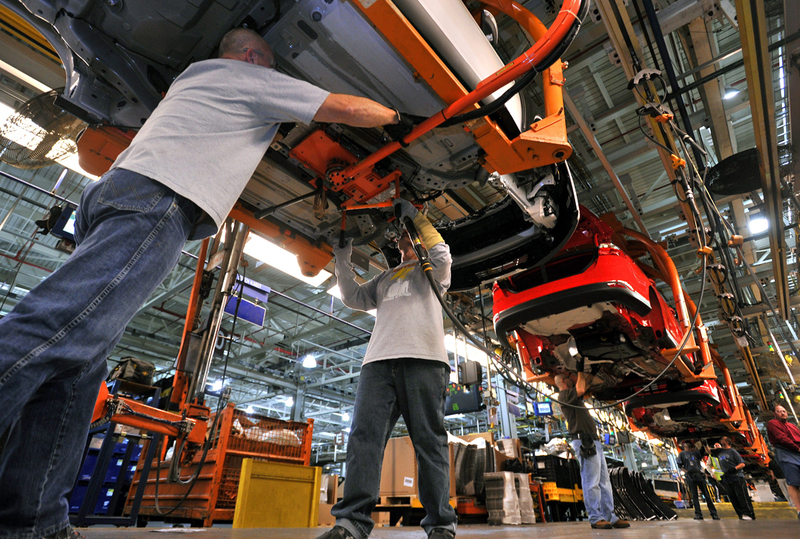 This most recent all-American expansion is part of a $200 million investment Ford made in Cleveland, an investment that has helped bring approximately 450 new jobs to the area. “With more than 4 million EcoBoost-powered vehicles on the road today, Cleveland Engine has been at the forefront of our plan to provide our customers with fuel-efficient, affordable engines,” said Bruce Hettle, Ford’s vice president of North American manufacturing. Of course, the Cleveland investment is just one of many made across the country. Since 2011, Ford has amazingly added an average of 10 union jobs per day and easily surpassed their self-imposed target of 12,000 new jobs during that period. For a company that has never strayed away from America and American ideas, though, this news should come as no surprise because Ford bleeds red, white, and blue. This entry was posted in Culture, Ford and tagged 2.3-liter EcoBoost engine, 2015 Ford Mustang. 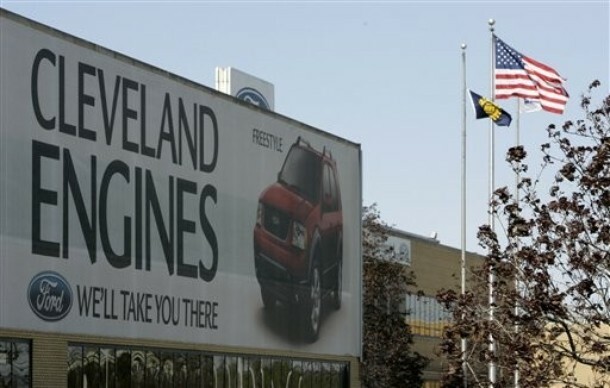 Ford Explorer, and Lincoln MKC vehicle, cleveland, ford, Ford Edge, General Motors, GM, jobs, twin-scroll 2-liter EcoBoost. Bookmark the permalink. You Are Not Going to Believe How Much Fiat Chrysler CEO Sergio Marchionne Made Last Year! !